Mother’s day is coming up in just a few weeks time and there’s nothing better than a card or gift that your child has made themself, is there? I’ve had many a handmade card over the years and I always store them away in a memory box as they are so precious, and lovely to look back on. 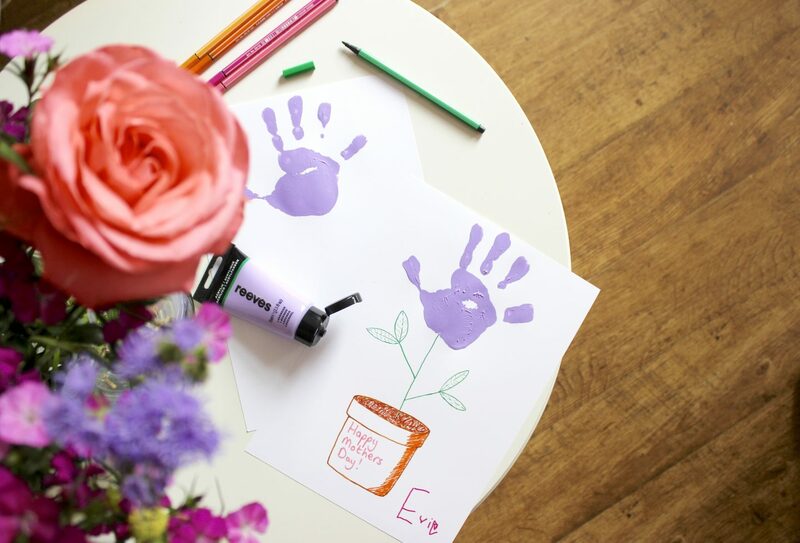 Last year Evie made these really cute hand print plant pot pictures for Mother’s Day. They were really easy to do and I think they look great! You could print out a template first to make it easier for your child, or maybe print a special message like on the image below. Don’t forget to stock up on printer ink for this one, we always seem to have run out whenever I go to print something! Check out printerinks.com HP cartridges for great offers on printer ink. I made salt dough ornaments with my children a few years ago and we gave them to family members as gifts, everyone loved them. You could do hand prints, feet in the shape of a heart, or maybe thumb prints like in the image below. There are lots of different options and the salt dough itself is really easy to make. Check out Pinterest for lots of salt dough ideas and recipes. You can’t go wrong with a plant in a pot as a Mother’s Day gift, can you? But why not make it that extra bit special by letting your child decorating it? Your little one could decorate it any way they like, but hand prints are always a nice touch. Add the date underneath the pot so that you can reminisce in years to come. What do you think to these easy Mother’s Day craft ideas? Do you have any other ideas to add to this list?